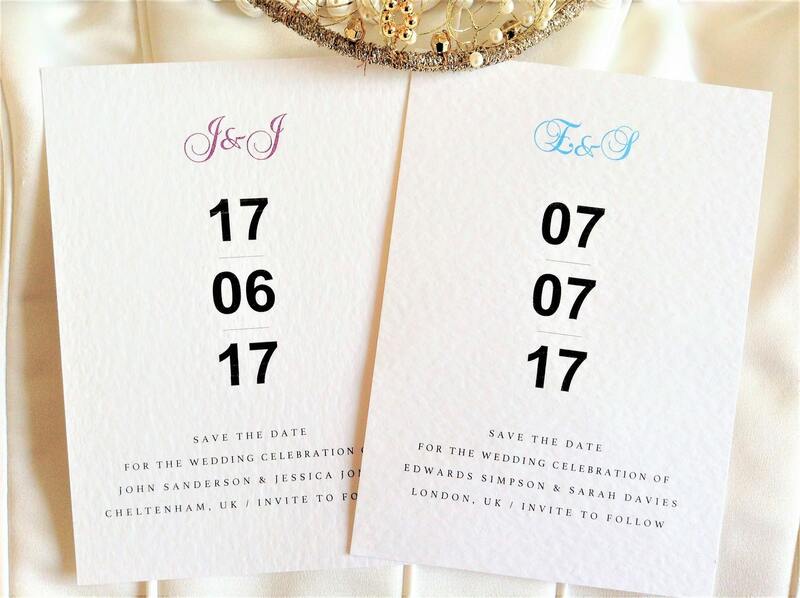 Bayswater save the date cards, announce your forthcoming wedding in style with these attractive contemporary save the date cards. 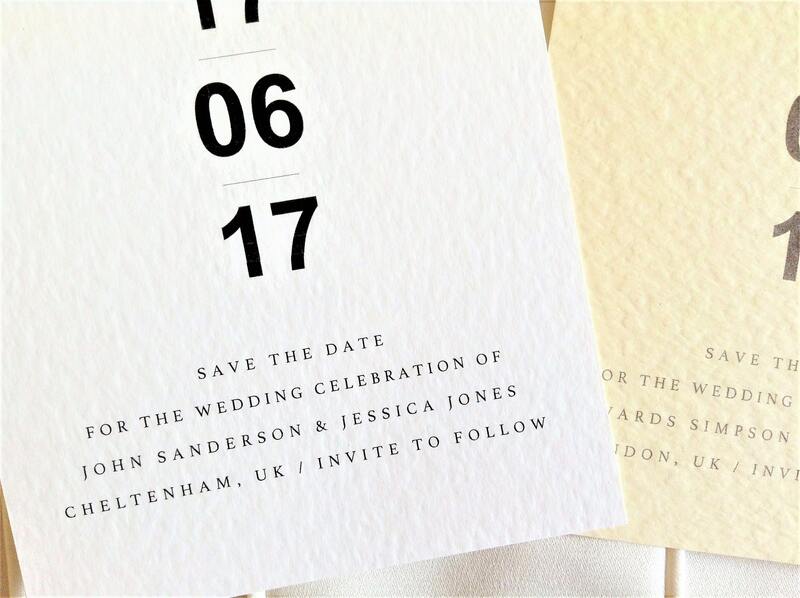 Our classy save the date cards are printed on a top quality thick heavy weight (270gsm) hammered card and are available in white or ivory. 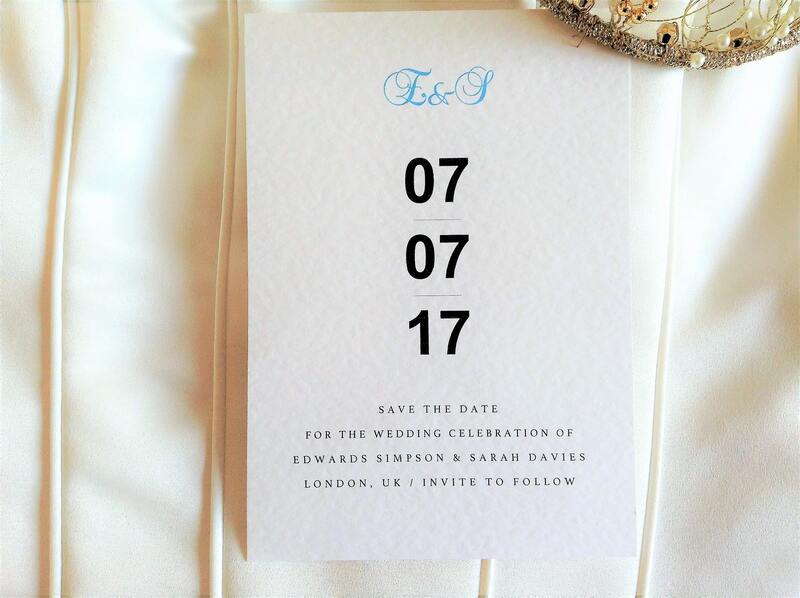 This design features the bride and grooms initials at the top! 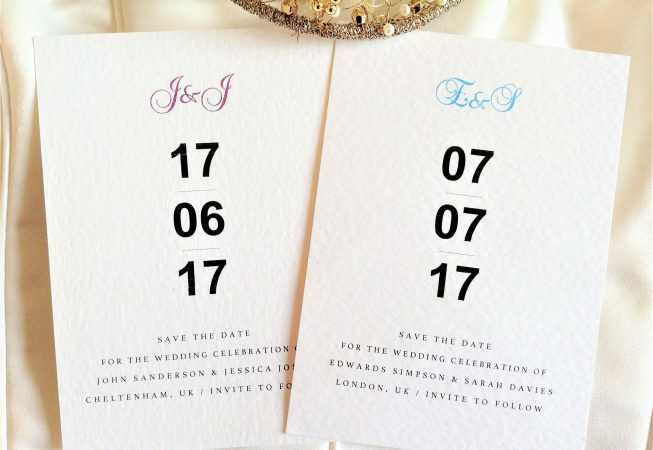 Choose your own typefaces or ask for the fonts shown in the samples on the website.